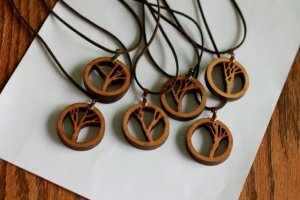 The Branches series of necklaces centres on a uniquely designed hardwood pendant. 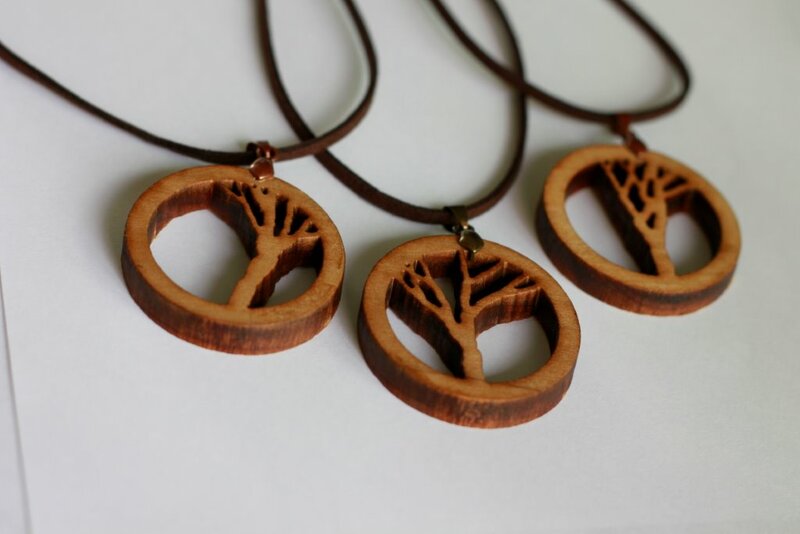 Each pendant design is generated by software written by the artist before being laser cut from hardwood. Every pendant is unique – no two tree designs are alike. 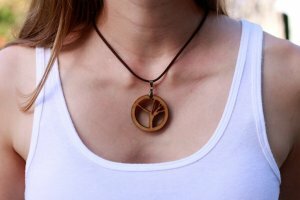 The pendants are then hung on a suede necklace, emphasizing the natural feel of the piece. Branches necklaces are available online at our etsy store. Retailers who are interested can contact us by email to discuss wholesale prices.